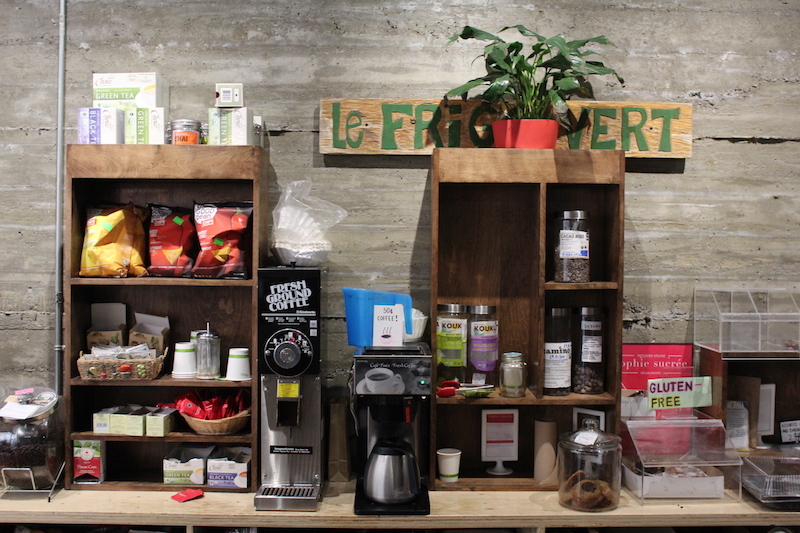 Members of Le Frigo Vert elected seven members to its board of directors during the non-profit health food store’s annual general meeting on Oct. 30. The evening was also spent discussing a number of events to be hosted by the store in the upcoming year. All seven candidates who ran for board positions—Genevieve Bonin-Nadeau, Allison Figuera, Iman Khalit, Fern Marmont, Tiago Muzzi, Alex Pace and Morgan Peniuta—were elected. With the exception of Bonin-Nadeau and Muzzi, the candidates had previously served as board members. The candidates were elected by approximately 30 members of Le Frigo Vert who attended the meeting. Since the health food store is a Concordia fee levy group, its members include all graduate and undergraduate students who have paid the fee levy. Membership is also open to community members who pay an annual membership fee. In addition to the election, the meeting focused on the store’s upcoming events and workshops, the largest of which is the annual Anti-Colonial Dinner. Co-hosted with the Quebec Public Interest Research Group (QPIRG) at Concordia, the dinner’s turnout has increased in recent years and continues to be a primary focus for the store, according to Le Frigo Vert employee Maria Forti. Seven candidates were elected to Le Frigo Vert’s board of directors during its annual general meeting on Oct. 30. Photo by Alex Hutchins. Le Frigo Vert will also be hosting workshops on herbal medicine this year, including “Herbs and Mental Health,” “Medicinal Mushrooms” and “Herbal Medicine for Trans People.” According to Forti, these workshops are in high demand and many have already reached the 20-person sign-up limit. The store, located on Mackay Street on Concordia’s downtown campus, primarily sells organic and locally grown food. Other available products include medicinal and hygienic products, such as medicinal mushrooms and natural shampoos and soaps. As a fee levy group on campus, Le Frigo Vert receives 33 cents per credit from undergraduate students and $1.50 from graduate students each semester. Forti said the fee levy helps fund their free workshops and events, including the Anti-Colonial Dinner, all of which are open to Concordia students and the general public. Additionally, students and members receive a 20 per cent discount on all products, which the store tries to provide at an affordable price.